A beach-front tot friendly paradise. Kids will be in their element at the huge children's complex packed with activities, play areas and pool fun. 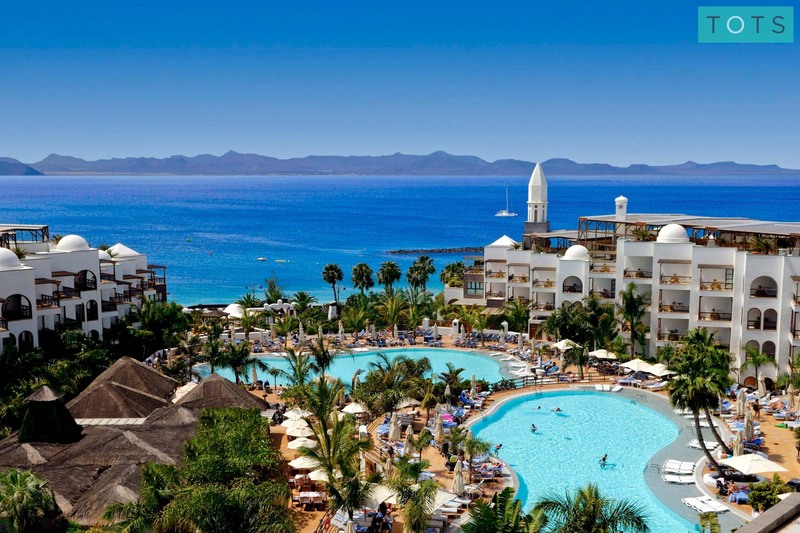 Around the resort there are fantastic pools and excellent sports facilities to enjoy, plus for fuss free family meals you can choose from a great range of child-friendly restaurants. A perfect family holiday. Great facilities for babies, toddlers, kids and grown up's. The service and food is exceptional. The beach is amazing. Can't wait to go back. Hotel was 5 star service and food was exceptional. Staff were friendly and helpful. The pools were clean and lots of shallow pools for little ones. Lots going on in Kikoland although the style of activities such as dressing up, dancing and facepainting didn't really suit our children. There was a soccer school which looked a good activity for older boys. A local supermarket meant we could pick up swimming toys and practical bits very easily. What makes this hotel is the staff, our 3 1/2 year old loved every minute of it, the staff at Kikoland were so professional, particularly Francesca who was really good to our son, she deserves special recognition. Breakfast really good, kids disco in the evening was a huge hit with our son, overall an excellent hotel and couldn’t fault it. It’s non-stop fun during family holidays at Princesa Yaiza. 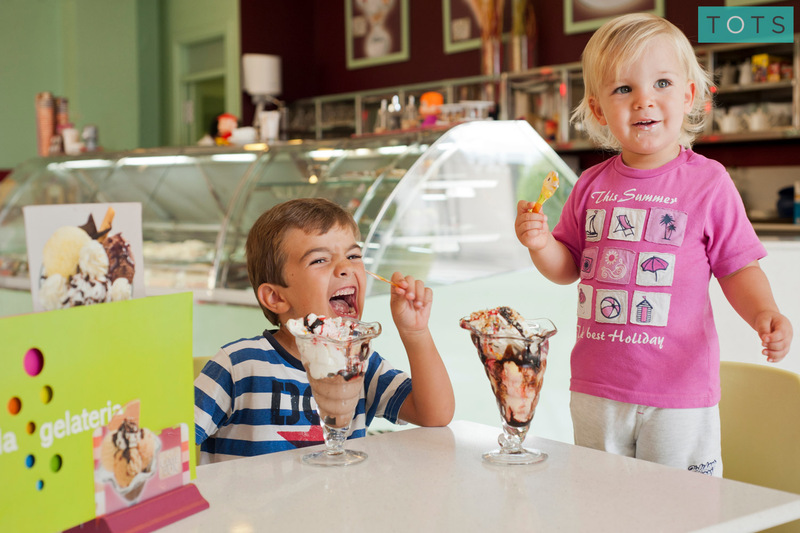 Kids will just love the choice of children’s areas - exciting play parks, children's pools and fun-packed kids' clubs. When it comes to deciding where to play next, your little ones will be spoilt for choice. A wonderland of fun and friends with 10,000 square metres dedicated to children's play. There are play areas for all ages plus family pools, kids' clubs, a snack bar and sports courts. Your tots will simply love it here. The age-specific kids’ clubs offer loads of great supervised activities run by specialist staff. 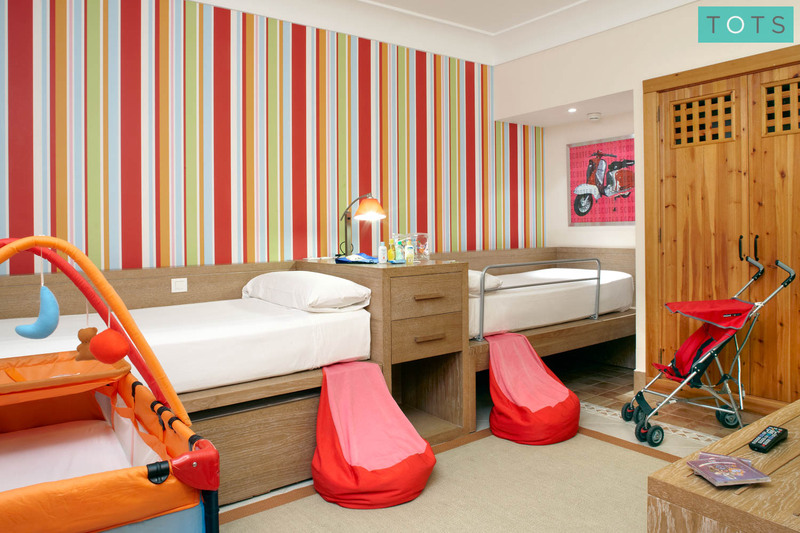 For children over three it is included in the price of your stay. Designed for ages four months to three years Baby Kikoland offers a variety of supervised sessions suited to little ones. There’s even a baby ‘webcam’ you can access to watch your tot whilst they play, for extra peace of mind. Additional charge applies. 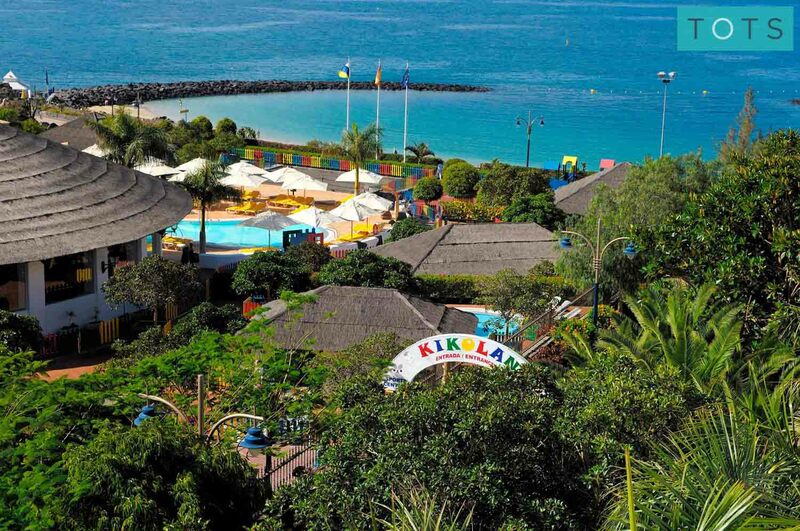 Kikoland has its own family pool to enjoy, plus there are two children's pools next to the main resort pools and even a special kids’ Jacuzzi! With a range of play equipment designed for all ages, little ones will never bore of the fun on offer in the play areas. The resort also has an indoor soft play area, supervised in the morning and late afternoon, which is suitable for ages three to eight years. Every evening there is a mini disco where kids are entertained with games, dancing and face painting whilst the adults have a chance to sit back and relax. Tots to Travel provide an exclusive Essential Kit for use during your stay, containing 20+ key baby and toddler items that you won’t have to pack. There is a huge variety of excellent restaurants serving a range of international cuisines, you can choose to dine at a buffet or an à la carte eatery, both of which offer family friendly options. 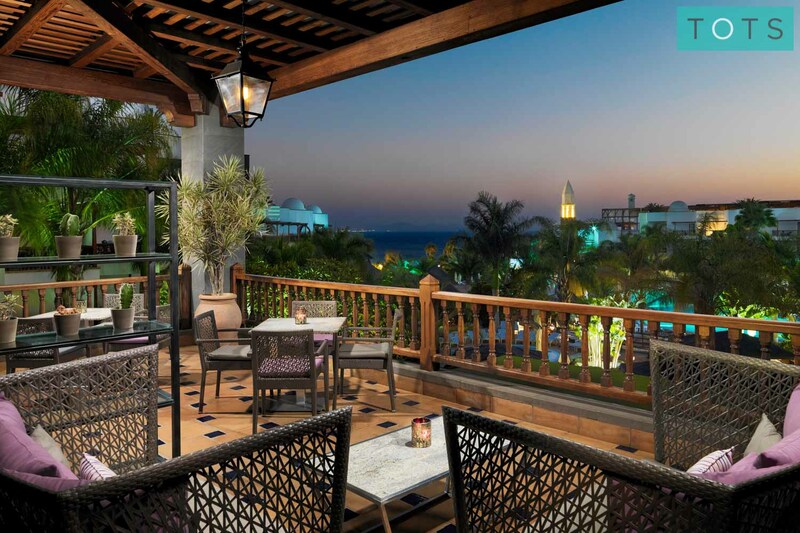 This relaxed pool bar offers traditional Canarian cuisine, fresh fish and meats, seafood, light snacks and drinks, making it the ideal spot for poolside family lunches. For a taste of Mexico, check out this great buffet restaurant with a beautiful outdoor terrace. You can enjoy breakfast here, or scrumptious dinners serving barbecue dishes, fresh meats and fish, fajitas, burritos and more. With traditional Teppanyaki tables, this warm and welcoming restaurant serves authentic Asian dishes, created from fresh and healthy produce. This buffet restaurant offers plenty of tempting dishes to choose from, accompanied by refreshing beers, soft drinks and fine wines. Another excellent buffet restaurant, La Piazzetta offers Italian family favourites including pizzas cooked in a traditional oven, show-cooked pastas and more, all made with first-class ingredients imported from Italy. Serving traditional Spanish tapas and Iberian cold cuts, you can also enjoy some delicious Spanish wine during a visit to this excellent tapas restaurant. A lovely restaurant which provides authentic Italian dishes, created using the same ingredients and methods as those served in the Mediterranean. A gourmet restaurant serving stunning dishes and with a wonderful terrace overlooking the ocean. Visit here for adult-only breakfasts and delicious a la carte dinners. From the stunning golden beach, just a stone’s throw from your suite, to the huge selection of family pools and variety of sports and activities, Princesa Yaiza offers plenty to entertain the whole family. Water babies are sure to be happy here. Pick from two family pools, two Jacuzzis and a variety of special pools for children and babies within the kids’ Kikoland complex. 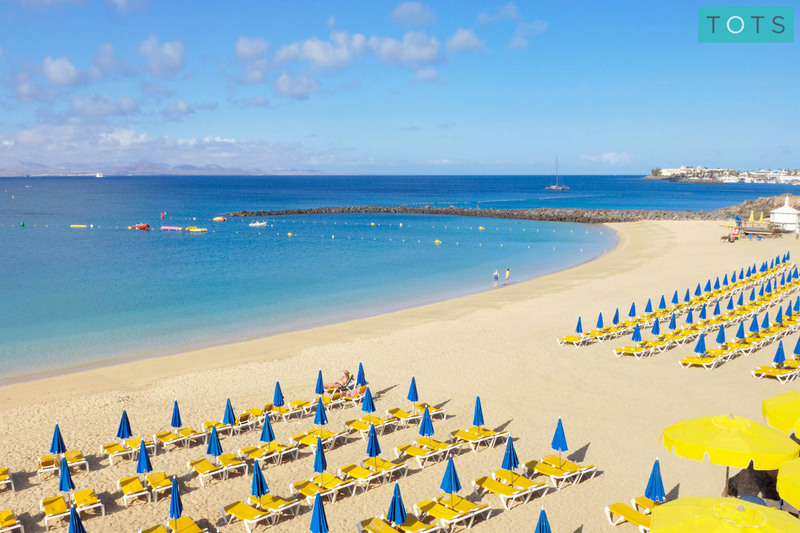 Golden sands and warm waters await you at the resort beach. Enjoy sandcastle building, a spot of paddling or the more active can choose to take part in some watersports. Sport enthusiasts will find plenty to choose from at this great family resort; whether it's football, tennis, volleyball, golf, a visit to the fully equipped gym or something else, there’s plenty of activities to entertain. In need of some relaxation? Look no further. The Thalasso Spa has a variety of therapy rooms, a Turkish bath and a vast treatment menu to help you unwind. 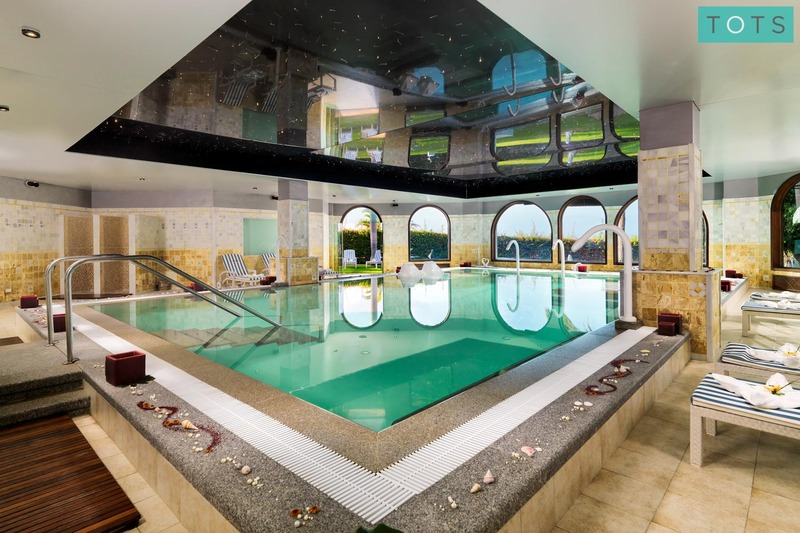 Not to be missed is the heated seawater pool set under stunning starry sky ceiling decor. The accommodation we have selected at Princesa Yaiza is spacious, luxurious and, most importantly, family friendly. Each suite has been inspected by one of our family holiday experts and has been hand-picked for its suitability for families with young children. Each suite also comes with our unique Essential Kit Guarantee. Sitting halfway between Playa Blanca and Marina Rubicon, the resort is based on the beautiful Avenida Maritima sea front promenade, lined with shops, restaurants, golden beaches and spectacular views. There are also lots of family attractions nearby including an Aquapark, Aquarium, Zoo and more.